Talk about buying a diamond online and you would think about a website with nice pictures and pretty content. Unfortunately this mode of selling and buying diamonds online has its disadvantages. The buyer is generally not directly connected to the seller and doubts exist regarding the quality of the diamonds offered. GLITZKOIN is now poised to change all that with the introduction, of a diamond blockchain based on the latest technology. 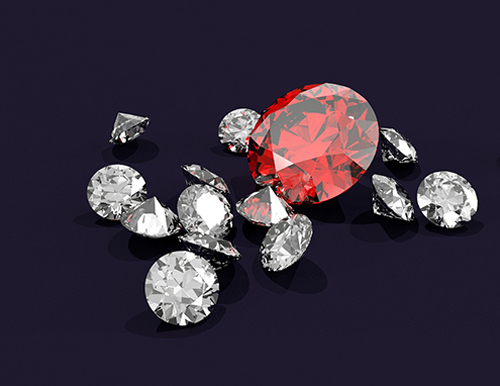 Online diamond buyers would get directly connected to diamond sellers, no middlemen and no inflated price tags. Sellers would list diamonds certified by reputed diamond testing laboratories. Complete information related to each diamond would be loaded on the blockchain. Data once entered would form a permanent record. Simply put, no one could edit a record that has been entered. This environment to facilitate online diamond buying, has never before been available to diamond buyers. A purchase made on the diamond blockchain would be paid for using the GLITZKOIN crypto currency. No more expensive bank fees and complicated currency conversions to deal with. A diamond listed by a seller from any part of the globe, could be purchased from just about any geographical location. With the absence of conventional brokers, the actual price quoted by the seller will be clearly visible to every prospective buyer. The diamond trade has for decades functioned with the help of multiple brokers in the supply chain. Brokerage charges and commissions, cloak the initial price quoted by the seller. There are a number of essential services required to complete an online diamond purchase. Besides a reliable online payment system, there would be a requirement for services like insurance and shipping. The broader scope of the GLITZKOIN diamond blockchain, would bring these services on to the same platform. This is something that will work to the advantage of the buyer and seller. A strong technical team paired with an unmatched expertise in all aspects of the diamond industry, ensure that the GLITZKOIN project will set the superior standards expected of a state-of- the-art online diamond trading platform, powered by blockchain technology.